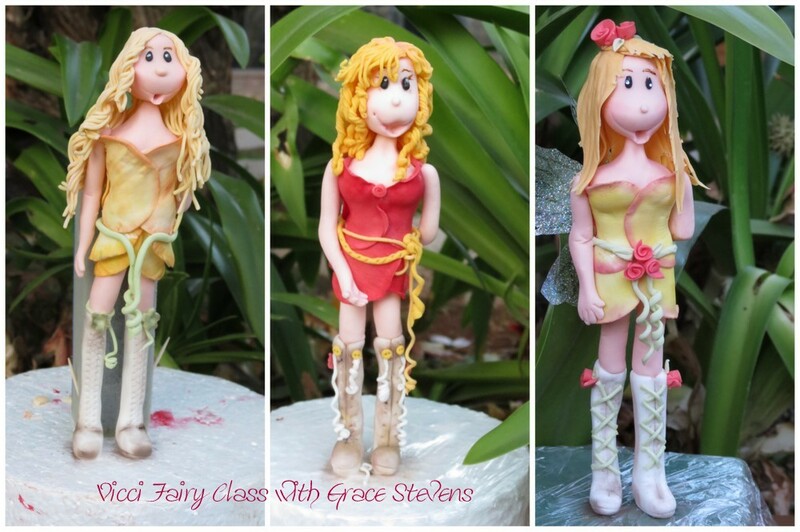 It is always a pleasure to be transported into Grace Stevens‘ magical world of sugar art when she flies up to Johannesburg to present her sugar art classes. 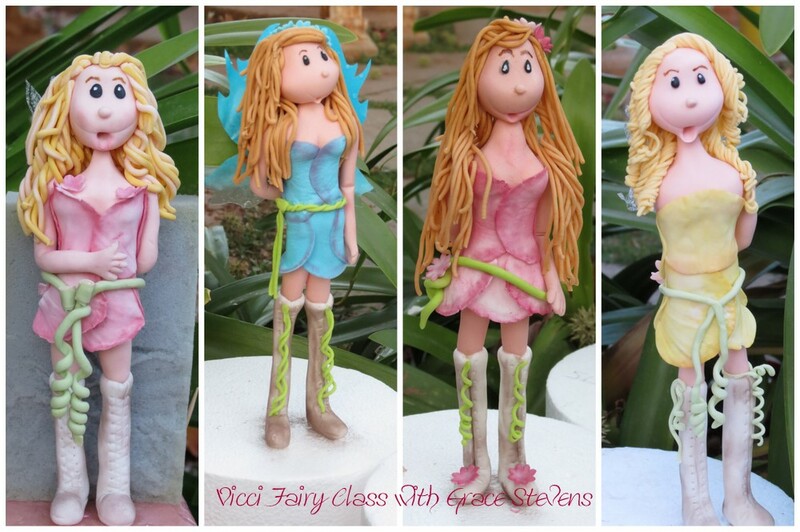 In this class, The Vicci Fairy, we were taken back to that fun childhood time where fairies were real and danced with abandon at the bottom of our gardens and Grace invited us each to bring these fairies to life in sugar. This tall and elegant fairy in her long boots and petal dress slowly came to life and eventually smiled mischievously at us once we had finished crafting her. Thanks Grace for once again sharing your magical talent, knowledge, stories and most of all your passion for sugar art with us in this delightful course. 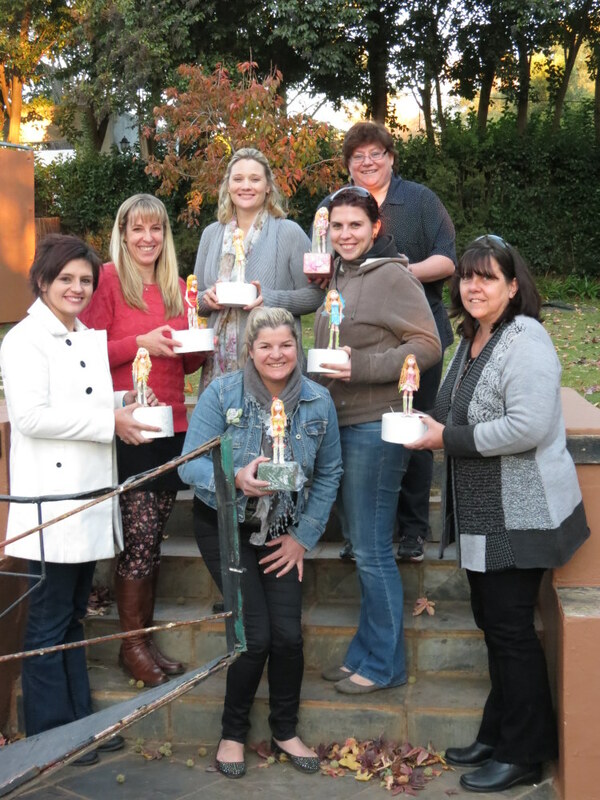 Proudly holding our Vicci Fairies after the course with Grace Stevens, pictured 3rd from the left in the back row. So delighted to share such a brilliant day with all these ladies. ← Irish Rugby Figurine Cake for Fathers Day!